While Americans are required to have health insurance, or pay a penalty if they don’t, many pet owners have yet to embrace pet insurance for their dogs and cats….although enrollment trends are increasing, perhaps as much as 17% in the past year. “According to the North American Pet Health Insurance Association, pet owners spent more than $1 billion on pet insurance in 2017, insuring 2.1 million pets in the United States and Canada, a nearly 17 percent jump from the previous year”. Citing a recent example of the benefits of a pet insurance plan, one of our clients shared their experience with Winston, a rescued Chihuahua. This little doggie was found rummaging behind a dumpster and brought home by Carol and Richard; his rescuers. Following a Vet exam, Winston was diagnosed with a liver condition that would require life-time medication. While life moved happily forward, Winston later developed other problems. He was recently diagnosed with a calcified spine. Fortunately, these pet parents had an 80/20 insurance plan with an annual premium of $300. Winston’s surgeries for spine correction came to $14,000; 80% of his medical bill was paid by their pet plan. Henry, an active and entertaining French Bulldog, loves to attack his toys and shake them to oblivion. On one occasion, he may have shook too hard as he is now being treated with acupuncture, chiropractic and water therapy sessions. Megan, Henry’s Mom, has pet insurance to cover the majority of Henry’s special treatments. Despite the possibility of future illnesses or unexpected medical conditions, the average owner will routinely visit their veterinarian to maintain vaccination protocols. As we require shot records for every dog we board, it didn’t take long to notice that some were getting rabies and DHPP vaccinations annually, while other dogs of the same age were receiving these standard vaccinations every three years. What I’ve surmised from this curious disparity is that it may not be necessary to vaccinate annually, past the age of two, and furthermore possibly discontinuing Parvo/Distemper/Canine Hepatitis/Adenovirus (DAHP) past the age of ten. Parvo-Distemper is a valid risk and fatal disease for puppies. Subsequently, this particular vaccination is often administered in the first four to six months of life. Hopefully, the puppy is off to a good start in developing a healthy immune system from the antibodies in their mother’s milk. Once the puppy is weaned from Mom, the typical protocol is a series of three DAHP injections spaced two to four weeks apart and completed ideally by four months of age. It stands to reason that a ten-year-old dog should be relatively invulnerable. Additionally, by the time your dog reaches two years of age, three-year boosters may be sufficient (as opposed to annual) for the core vaccinations mentioned above. Frequency of rabies vaccinations are, of course, dictated by local regulations with individual state requirements. There are many other non-core vaccinations available, based on your dog’s lifestyle and the environmental factors that may or may not pose risk to illness or disease. Some examples of optional vaccinations include Bordetella and Leptospira; whether these optional vaccines are applicable to your dog is a topic best raised with your veterinarian. (We do not require Bordatella or Leptospirosis vaccinations before boarding; it is recommended however if your dog is actively engaged in public activities and places that involve other dogs). 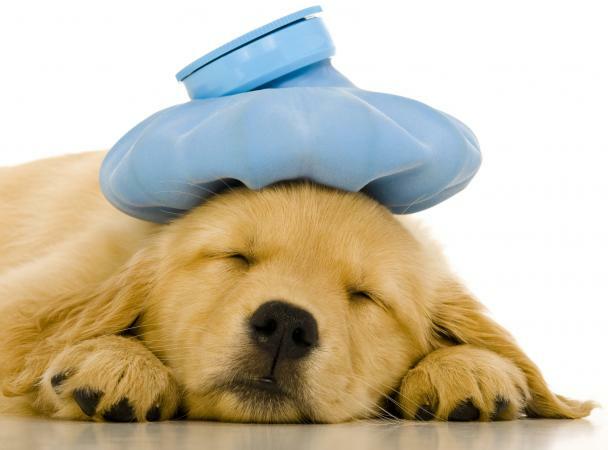 Many vaccinations provide adequate immunity when administered every few years, while others require more frequent schedules to maintain an acceptable level of immunity that will continually protect your pet. The AVMA recommends that veterinarians customize vaccination programs to the needs of their patients. More than one vaccination program may be effective. A recent publication (2017) from the American Animal Hospital Association (AAHA) drills it down further. As Dr. Ronald Schultz, professor and chair of the department of pathobiological sciences at University of Wisconsin-Madison, states: “Be wise and immunize, but immunize wisely.” Current (2011) American Animal Hospital Association (AAHA) recommendations for canine distemper and parvovirus vaccination are to vaccinate puppies at 12 and 16 weeks of age, booster at one year if the last puppy vaccine was at less than sixteen weeks of age, then re-vaccinate greater than or equal to every three years. However, the AAHA then goes on to say that the efficacy of the vaccines is at least five years. Dogs with suppressed immune systems or existing health conditions require case-by-case consideration, wherein some or all vaccinations could be more harmful than beneficial. In those rare cases that a dog shows a severe reaction to a routine vaccination or has immune-related diseases, a titer test can be performed instead. A titer test is a simple blood test used to measure a dog or cat’s antibodies against vaccine virus or infectious agents, particularly with core diseases such as Canine Parvovirus, Canine Distemper, and Canine Hepatitis. There is no downside to a titer test, other than the vagaries of test result interpretation if the results are negative. A negative titer test does not immediately suggest that a dog is unprotected. It could simply reflect the fact that the titer has not yet reached an ideal antibody level to confidently measure. While there may be some debate as to when and how often specific vaccinations should be administered, routine health exams should be maintained to proactively guard against other potential illnesses and health threats. Even the slightest change in your dog’s demeanor deserves a veterinarian’s attention. Best wishes for good health and happiness with your beloved pets. “Vaccinations,” AVMA, accessed December 4, 2018, https://www.avma.org/public/PetCare/Pages/vaccinations.aspx. Lea Stogdale, DVM, “Study of Canine Vaccine Antibody Responses,” Innovative Veterinary Care Journal, February 3, 2017, https://ivcjournal.com/vaccine-antibody-responses/.